Mr. Kristenson, what are the implications of a high versus low launcher rate? Does it enable wider distribution of warheads? Also, I am guessing more launchers means less reloading. Excellent analysis! Fewer launchers mean, potentially, more vulnerable to an adversary with more launchers. As I mention in the article, the US has about 120 launchers more than Russia. If the tables were turned I think we would have US military officials raise concern about potential vulnerability issues, just like we repeatedly hear officials and lobbyists complain about Russia’s advantage in non-strategic nuclear weapons. 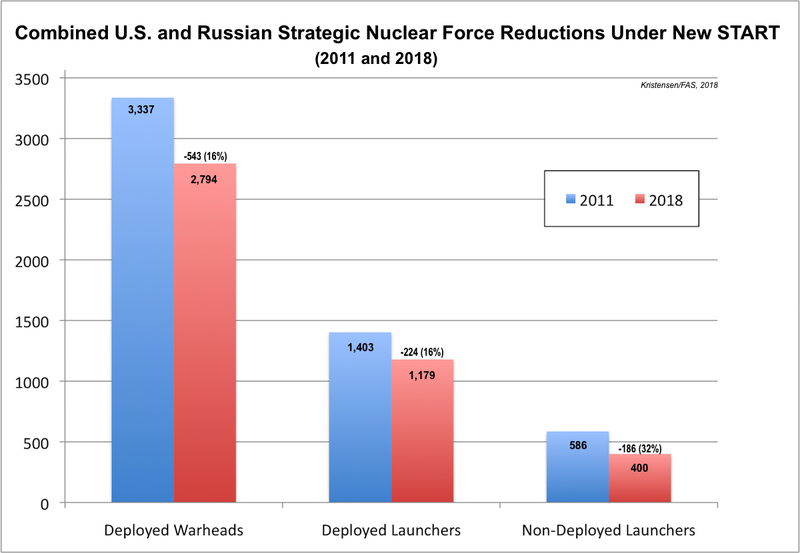 More launchers potentially enable wider distribution of warheads; fewer eggs in each basket. If the launcher disparity is too great and the country with most launchers also has a large inventory of non-deployed warheads that could be uploaded onto empty space on missiles and bombers, that country could, potentially, quickly expand and overwhelm the adversary’s smaller force structure in a surprise attack. I don’t think we’re at that level in the US-Russia strategic balance yet, but when tensions and disagreements flare, these are considerations that can help fuel requirements for more weapons. 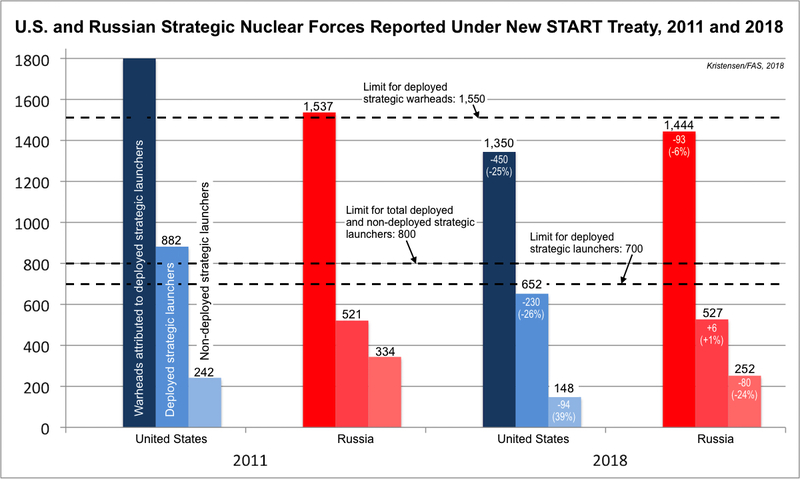 So we might potentially see Russia try to add more launchers and reduce warhead loading on its missiles in the future, while still remain below the New START treaty level.